Our company offers dedicated server rent services. You can order dedicated server of any configuration. we'll help you to find optimal variant. Dell CPU - Xeon 2x5440; RAM from 0 Gb to 16 Gb; HDD you can choose (SSD,SAS,SATA). Hewlett-Packard CPU - Xeon 2x5530; RAM from 0 Gb to 144 Gb; HDD you can choose (SSD,SAS,SATA). 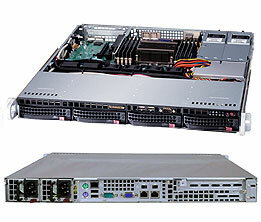 Supermicro CPU - Xeon 2x5650; RAM from 0 Gb to 192 Gb; HDD you can choose (SSD,SAS,SATA).